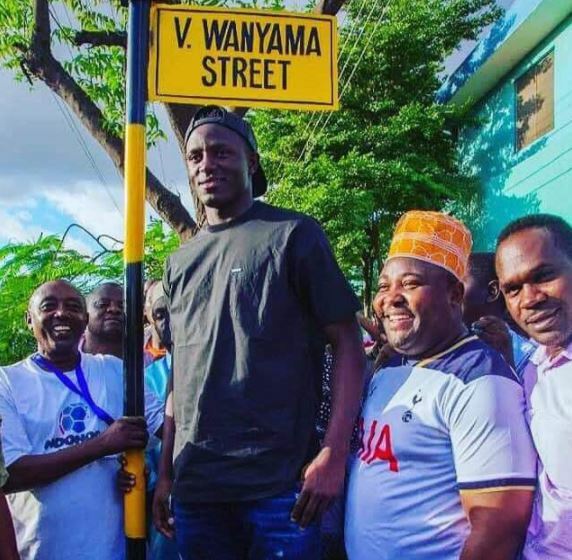 Just 24 hours after being announced as Kenya’s most influential sporting personality, Tottenham midfielder Victor Wanyama had a street named after him in Tanzania, and 24 hours later the honor was pulled down by Tanzanian officials. Wanyama, who celebrated his 26th birthday on Sunday, was holidaying in the neighboring country and the commercial port city of Dar es Salaam decided to reward the midfield enforcer with his own street leading to the Kinesi Stadium. The honour was, however, short-lived after Tanzania’s Ubungo council removed the sign, insisting the official procedures had not been properly followed. According to Ubungo Municipality Mayor Boniface Jacob, the street was renamed after the Kenya Harambee Stars Captain pledged to help develop the area. “The decision to remove the signpost did not consider the development of the area as Wanyama promised to improve infrastructure,” Jacob told The Citizen. The Mayor blamed the revocation of Wanyama’s honour on “politics” and “orders from above”. 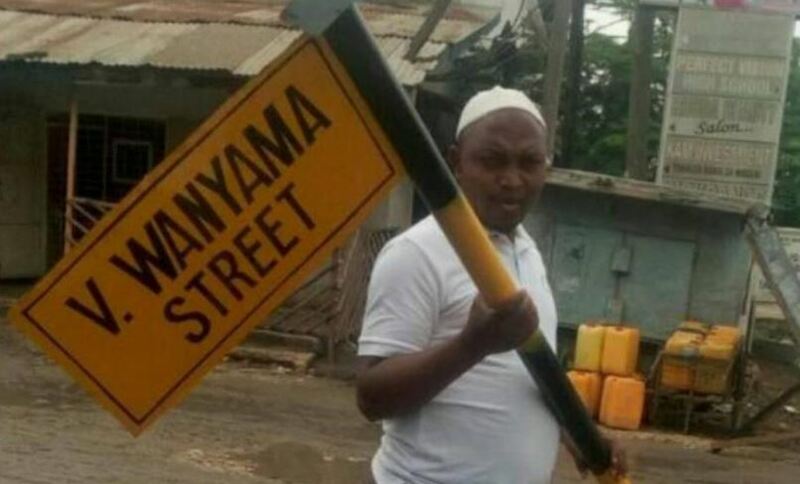 “We followed all rules and regulations to name the street after Victor Wanyama… I know what is going on,” he said, without giving details. If indeed the orders came from above, we would not be surprised as Kenya and Tanzania have had a frosty relationship since Tanzania President Magufuli took over power. Victor Wanyama, who signed for Tottenham from Southampton last July for $11m on a five-year deal, is considered the poster boy of East African football.